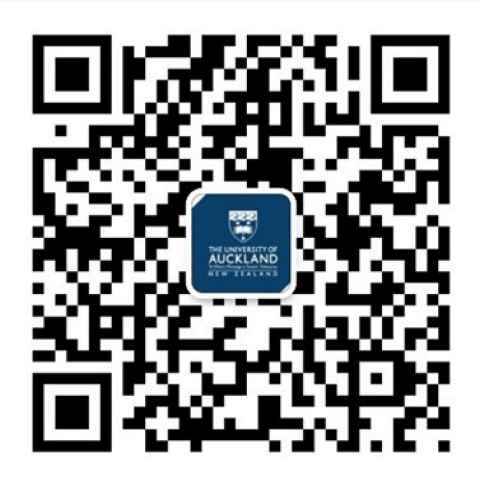 The University of Auckland is now on WeChat, China’s leading social media platform. To follow us, open your WeChat app to scan the QR code. Please note this social media channel is hosted in the Chinese language.